This rough and unfinished sketch of the lower parts of several trees was found with the sketch for The Woods and may be related to the same project. 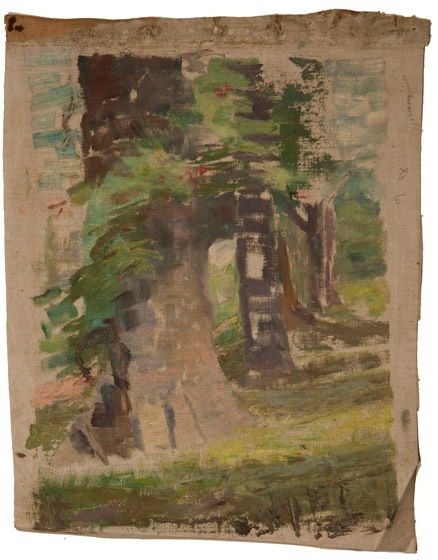 Obtained from the artist or his estate by Walter E. Baum, it has been passed down in the Baum family and is now in the collection of one of Baum’s grandchildren. The work is in fair condition.